This is a 12 days safari of Uganda. The tour is very action packed with Gorilla trekking, Chimpanzee tracking, and sightings of Big five animals (Lions, Leopard, Rhino, Elephant and Cape Buffalo), Wildlife including Giraffes, Hippos, Hyena, Orbi, Bushback, Eland, bush pigs, Crocodiles, etc. Upon arrival, our Driver guide will pick you from Entebbe International Airport and then drive you to your Hotel either in Kampala or Entebbe. You can also go for a City tour or any other activity in case there is time. 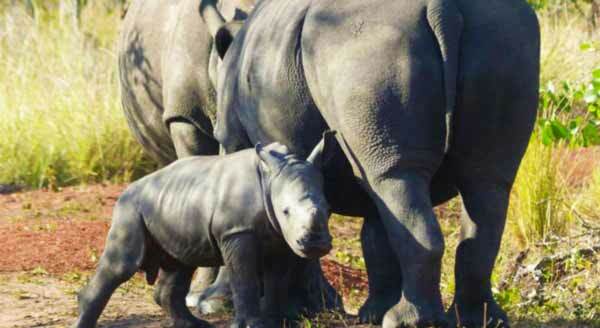 The guide will give you information about the safari and brief you on the full itinerary. Early in the morning, our guide will pick you from the hotel or lodge and then start on the journey to the east, heading for Jinja town. Jinja is a very unique town. This town is an adventure capital of Uganda. it is where the world's longest river the "Nile" originates from. It was also once the Industrial town of Uganda. 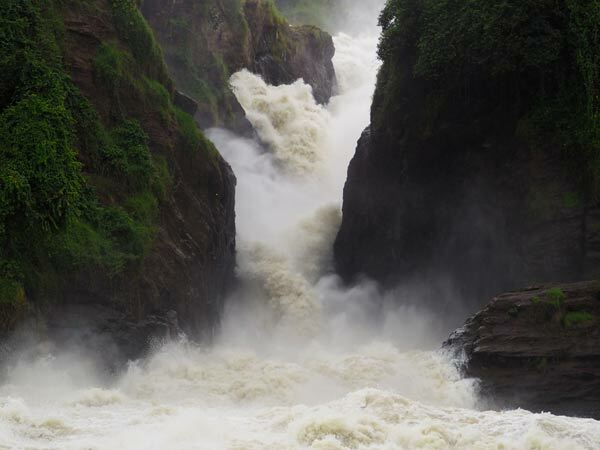 on this day we will go for White water rafting on Itanda falls formerly known as Bujagali falls which has grade 7 rapids. Theses are some of the best in the world for water rafting and it is a heaven for rafting enthusiast. Jinja also offers other activities such ad Horseback riding, etc. 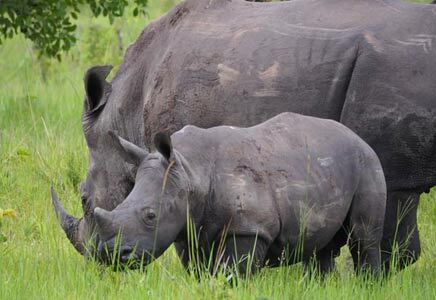 Today, we bid farewell to Jinja and head for Ziwa Rhino Sanctuary, the home of White Rhino tracking in Uganda. On arrival you will be led by a ranger to start on the nature walk looking for these incredible members of the Big Five animals. 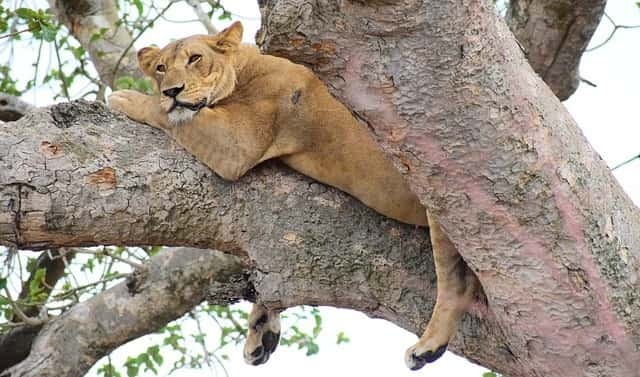 After the adventure, we get a lunch break and then head to Murchison falls national park for an evening drive in search of wildlife including; Elephants, Giraffes, hyenas, Lions, leopard, etc. In the morning, we go for a game drive in search of Big cats such as Lions and Leopards and also other wildlife to look out for include; the Jacksons heartbeats, giraffes, oribi, Uganda Kob, water buck, buffaloes, Hyenas, Jackals, Elephants, etc. After the game drive, we return for Lunch and later go for a Boat cruise in the afternoon. The cruise gives an exclusive tour of the aquatic wildlife with sightings of Hippopotamus, Nile crocodiles, African fish eagles, bee eaters, king fisher’s and lots more. We go for a morning game drive in search for wildlife such as; Jacksons heartbeats, giraffes, oribi, Uganda Kob, water buck, elephants, buffaloes and predictors like lions ,leopard, hyenas. We also get to see the DELTA POINT, the lowest point in Uganda where the Nile leaves Lake Albert. Here you find plenty of unique buttery flies to be seen. After lunch continue to Hoima for an overnight and a cultural performance can be arranged on request. Today we head for Kibale national park, a forest with 13 primate species making it the primate capital of the world and the center of Chimpanzee tracking in East Africa. The drive to Kibale is long but we take our time. On the journey we get to see farmers attending to their farmlands with plantations of Coffee, Maize(corn), Tobacco, Tea and Banana. This is a good spot for pictures. We continue to Fort-portal a very clean and green town and later arrive in Kibale. This is the Chimpanzee trekking day. In the morning with packed breakfast or after breakfast, you will be driven off to Kanyanchu Vistor center for breifing and group allocation. You will then be led into the forest by a park ranger with your group in search of these primates. Chimpanzees are social animals and they keep on moving depending on the location of the food especially fruits. 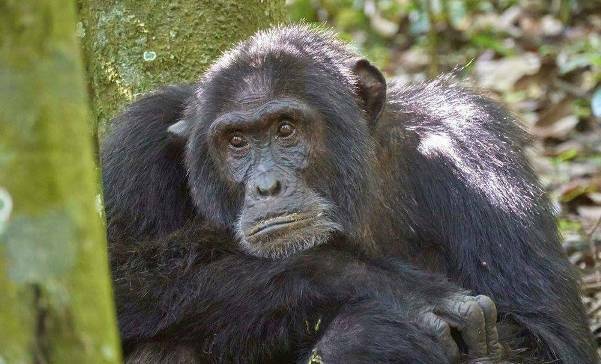 After locating the Chimps, you will spend 1 hour with them before trekking back out of the forest having achieved the purpose of the adventure in Kibale forest. In the evening, we can go for a swamp walk in search of other primates such as L'hoest monkey, Black and White Colobus and many more. After breakfast, we depart for Queen Elizabeth national park. The drive is scenic with views of Tomato, Tea, Cotton and banana plantations. We go through Kasese Town which was well known for Copper minning back in the colonial Era and later we arrive at the lodge for Lunch. In the evening we go for a Game drive looking for Lions, Leopard, Buffaloes, Elephants, Uganda Kob and several wildlife. After an early breakfast, we set out for a morning game drive. The morning is the beat time for seeing Hyenas, Lions feasting or returning to their dens. We then drive to the northern part of the park for a boat cruise on Kazinga Channel. 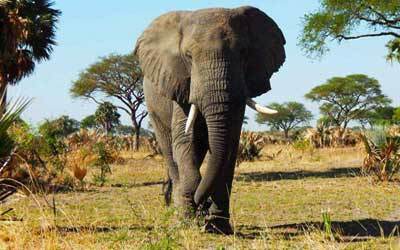 Kazinga Channel offers an exclusive opportunity of seeing Elephants, Buffaloes, and other animals very close as the come for a water break in the water. 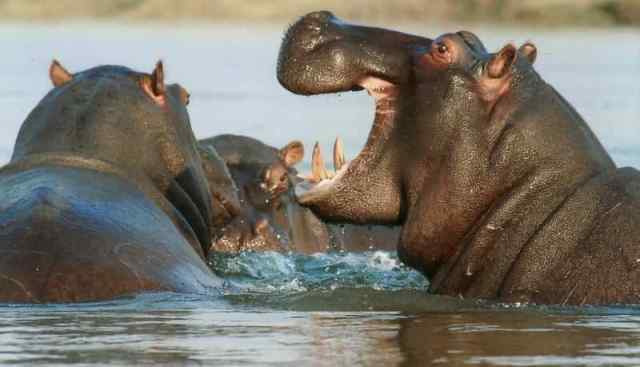 The channel is home to thousands of Hippos, Nile crocodiles, Monitor Lizards and many bird species such as The African Fish Eagle and several others. After the adventure, we return to the lodge for dinner. Today, we drive to the southern part of Queen Elizabeth (Ishasha) for Tree Climbing lions. 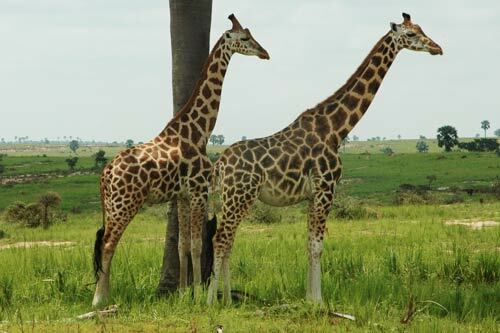 The drive is just 2 hours and it is adventurous with sights and sounds of wildlife and Maramagambo forest. Ishasha is a home to Tree climbing lions, Topis, Hyenas, Leopard, Elephants, Buffaloes etc. We will also have lunch near DR Congo at the river camp. 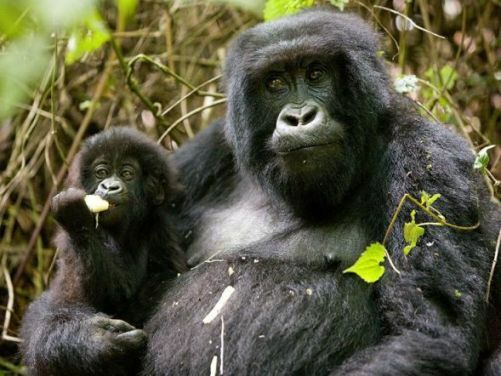 We then embark on the journey to Bwindi Impenetrable national park for the famous Gorilla trekking. Today is Gorilla trekking day!!!! !.After an early breakfast, we go to the park offices, for briefing and Gorilla group allocation. All activities in Bwindi impenetrable forest are conducted by the Uganda Wildlife Authority and at this briefing center we meet the people who are joining the group of tracking. 8 people in each group are led by a ranger guide and armed escorts into the forest. Gorilla tracking is unpredictable mostly when it comes to the duration of the hike. But good news is that the ranger guide is always in communication with the Trackers who leave early in the morning to track the movements and location of the Gorillas. After locating the gorillas, the trackers inform the rangers of the actual location and then the ranger will then lead you to the Gorillas. After finding the Gorillas, you will spend 1 hour with then. You can take pictures so long as you do not use flash. We then return back out of the forest and receive your Gorilla tracking certificate and preceed to the lodge for relaxation. After an early morning breakfast, we bid farewell to Bwindi Impenatrable forest heading for Kampala/Entebbe. 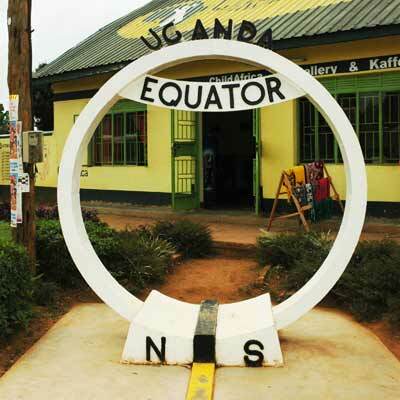 We will have a stop at the Equator for a Zero line Experience(Clockwise and Anti clockwise displacement of water), you can also buy souvenirs and a cup of Coffee/Tea. We then proceed to Kampala/Entebbe arriving later in the evening.